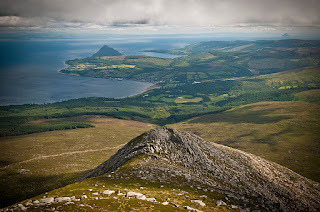 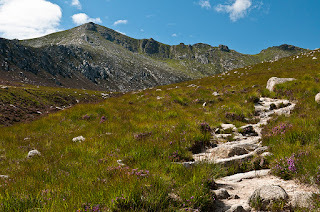 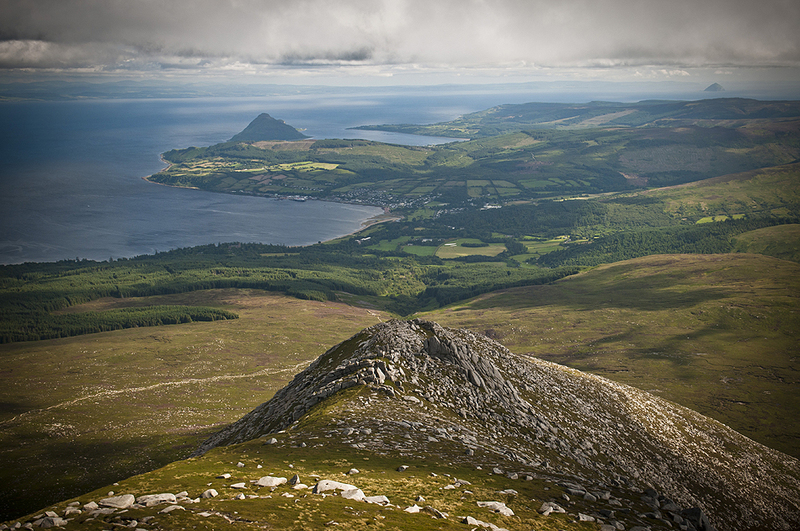 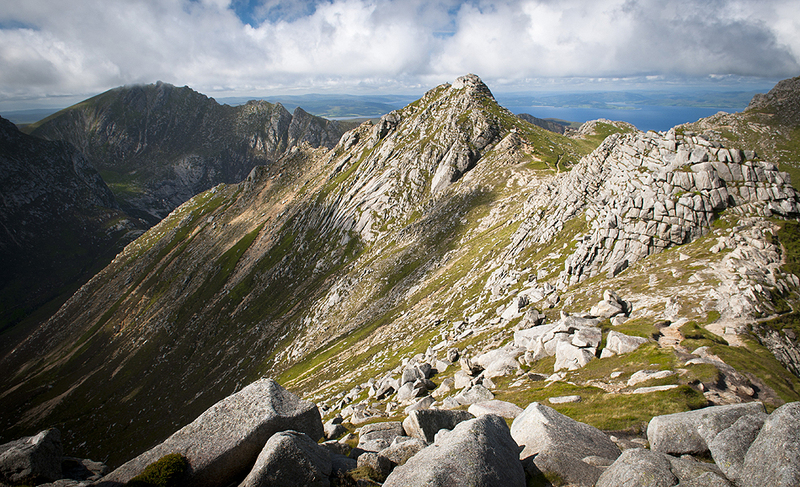 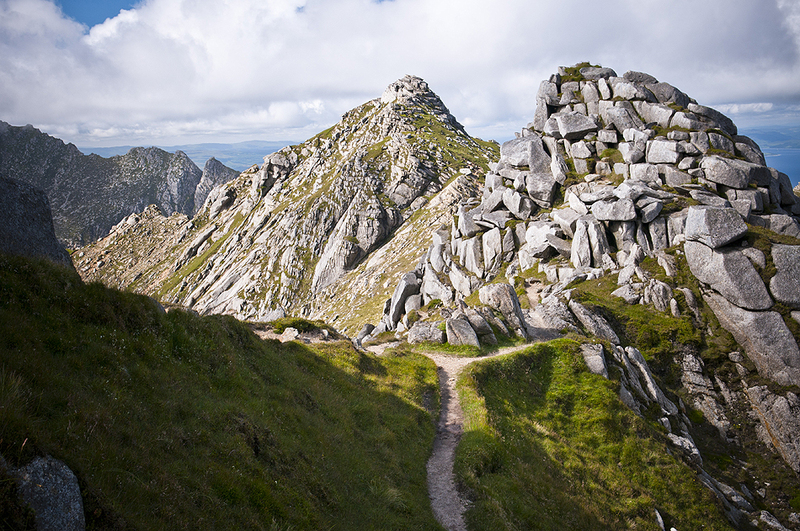 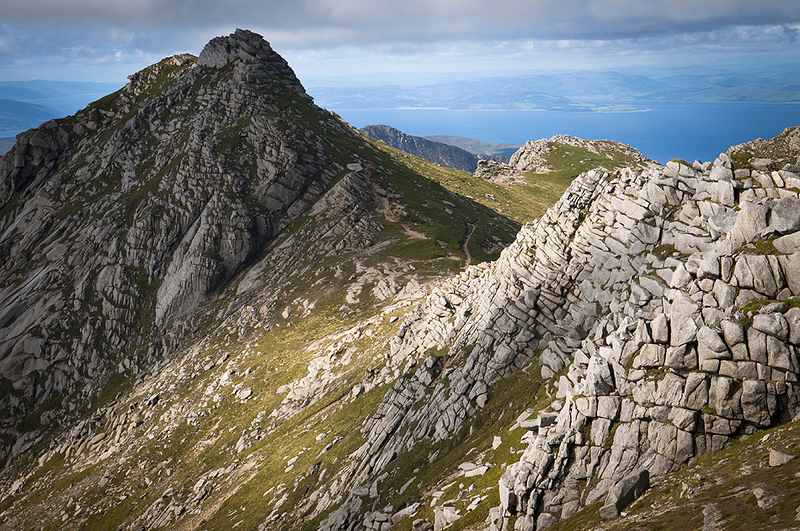 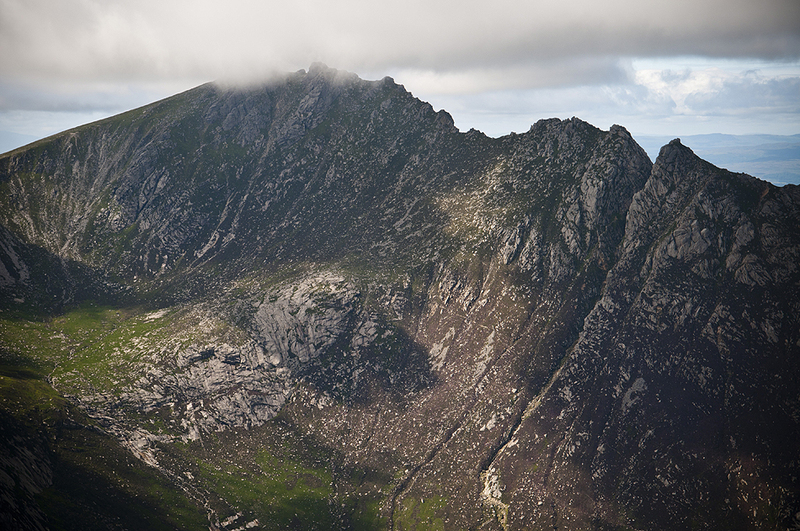 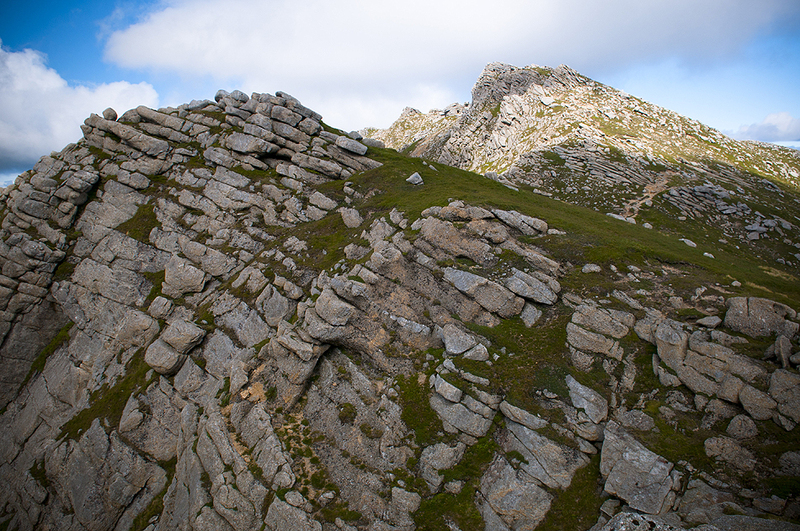 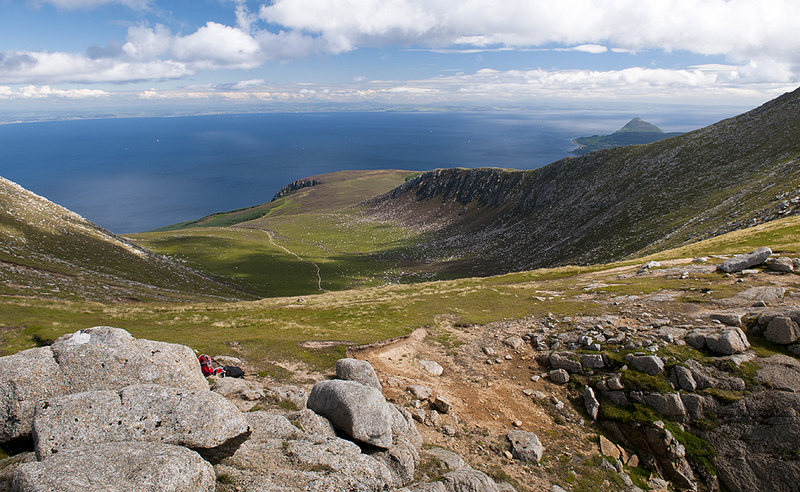 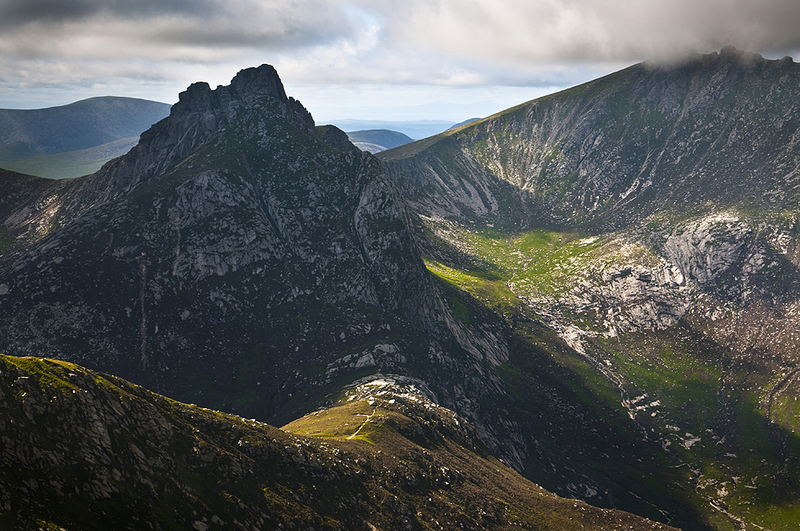 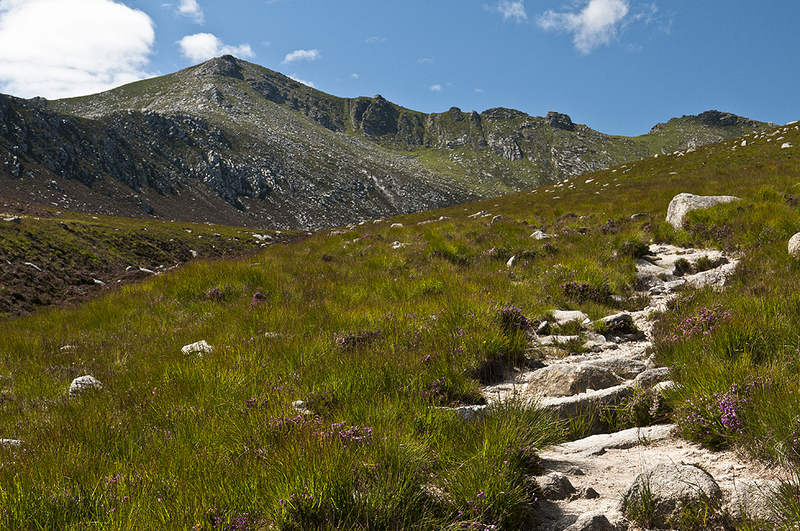 there are a couple of paths leading to goatfell, from brodick and corrie. we opted for more adventurous option - from corrie. 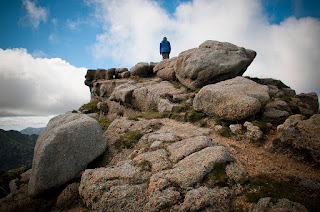 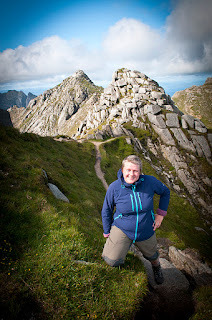 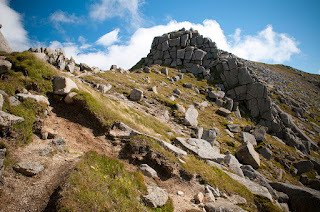 getting to the car park was an adventure in itself - when we turned from the main road (there is a little signpost 'path to goatfell') we faced a tiny (and i do mean it - tiny wee, hardly drivable) road. 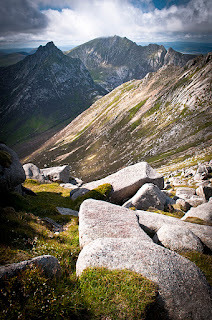 for those who are not kamikazee, or maybe not familiar with mountain roads or just feel uncomfortable driving a narrow single track road with no passing places, and no passing options really as road is lined with shrubs, wall, fence... (i prayed to god that nobody drives opposite direction while i climb up).. i got carried away i see, so if somebody is not comfortable with a thought driving there, please leave the car at the main road - it's only 1 mile from main road to the car park, easily walkable. 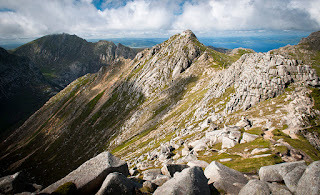 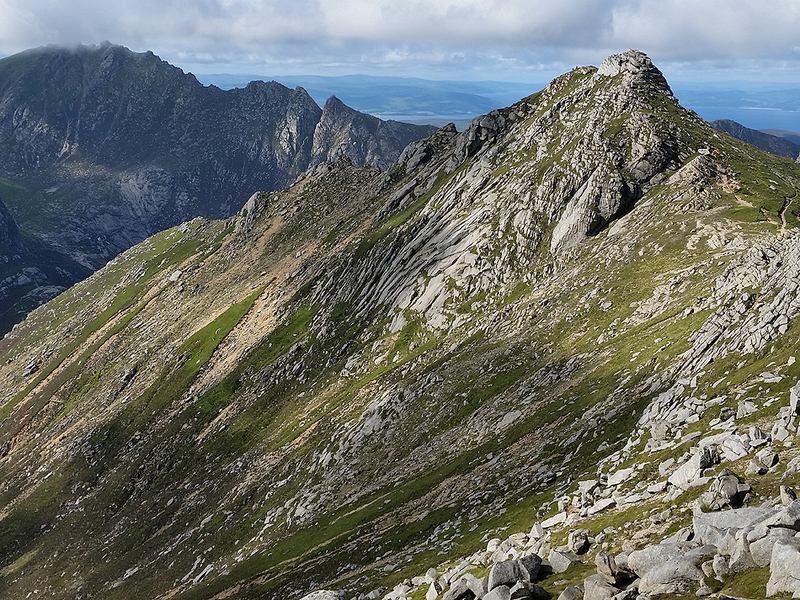 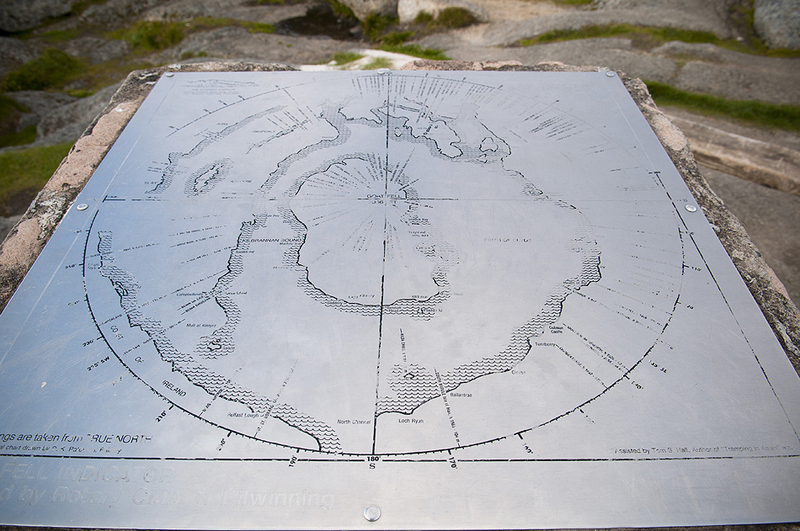 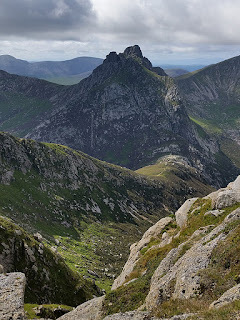 goatfell jest najwyzszym szczytem arranu, 874m (ktos powiedzialby ze TYLKO), ale biorac pod uwage ze wejscie na goatfell zaczyna sie od poziomu morza , to jednak mozna sie umeczyc zdobywajac cala ta wysokosc. niech was nie zwiedzie mysl ze to tylko mala gorka, wciaz mozna sie nasapac! 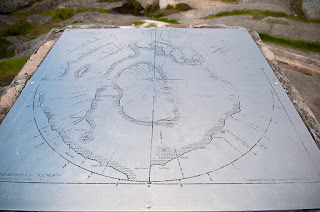 here it is, past the gate, open moorland. 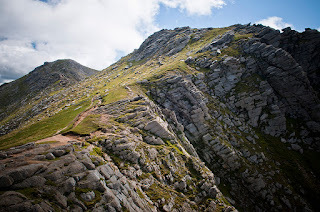 path is very well made and easy to follow..
prosze bardzo, za bramka zaczyna sie wrzosowisko. 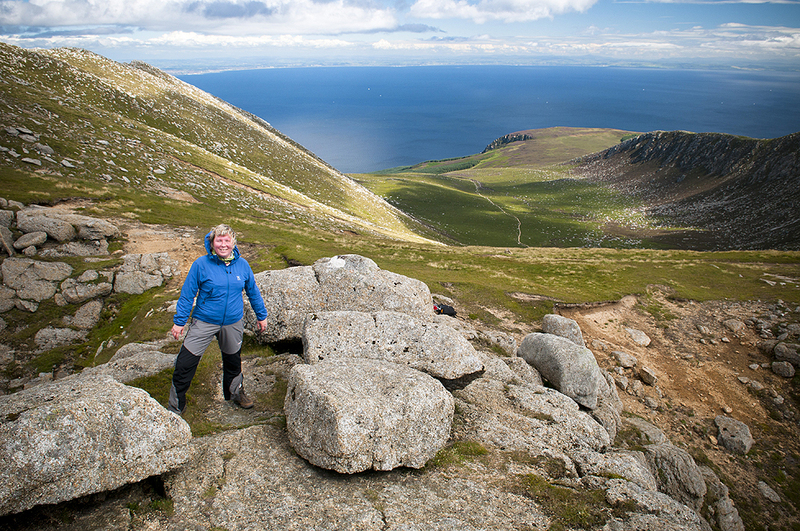 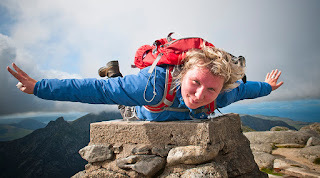 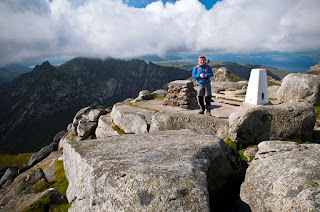 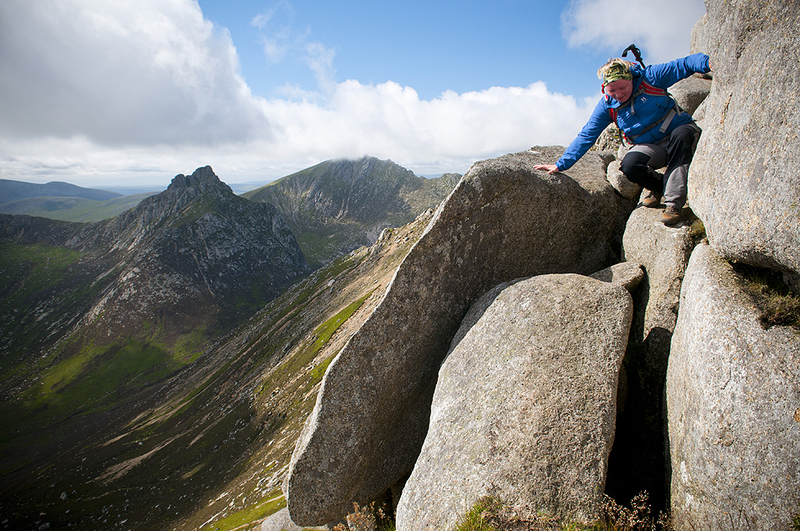 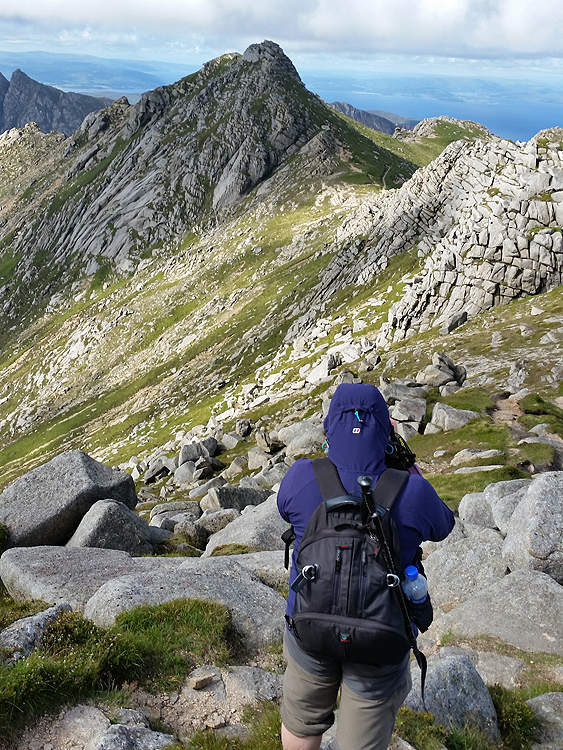 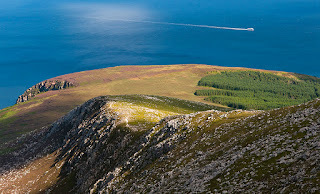 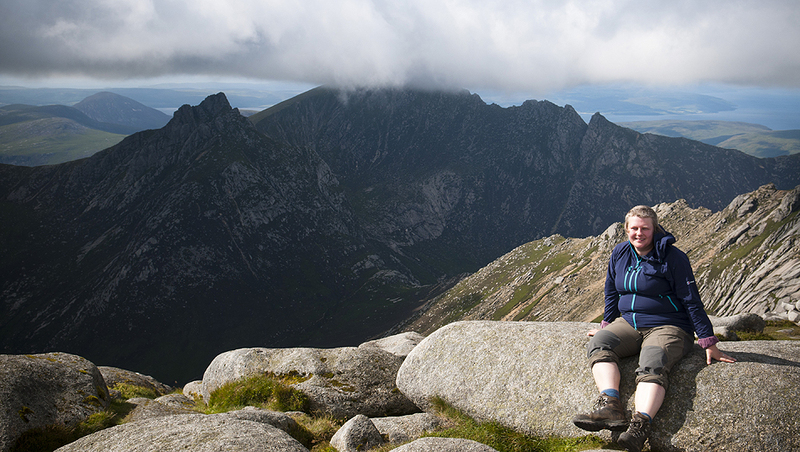 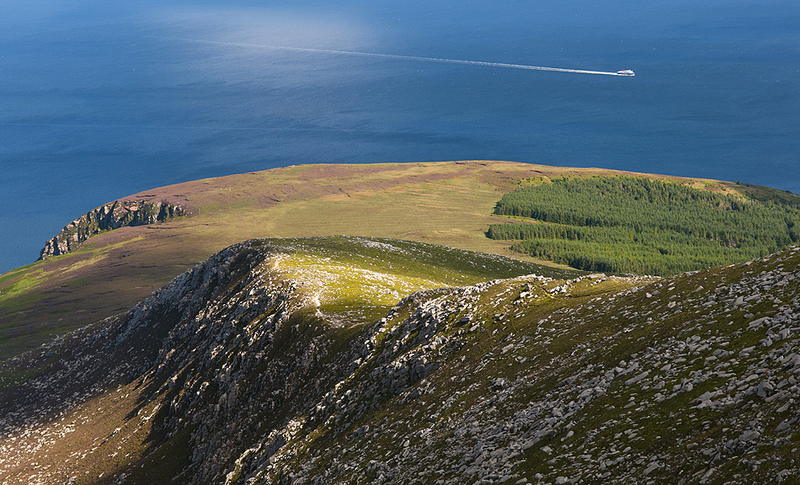 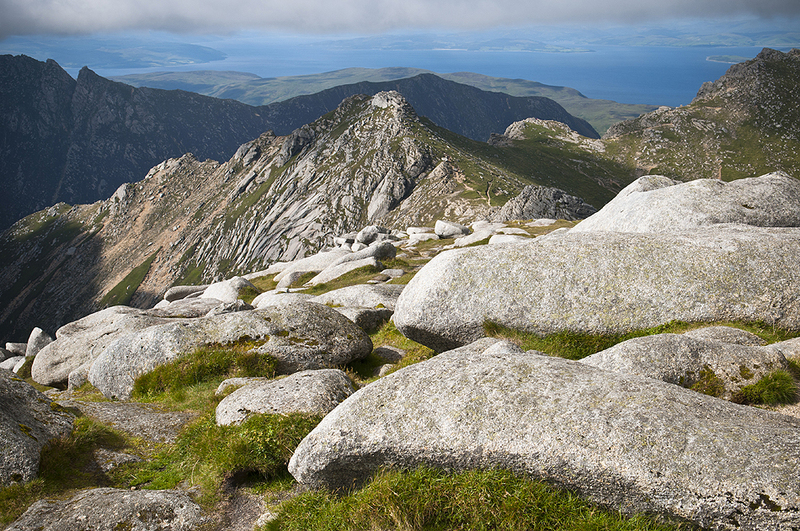 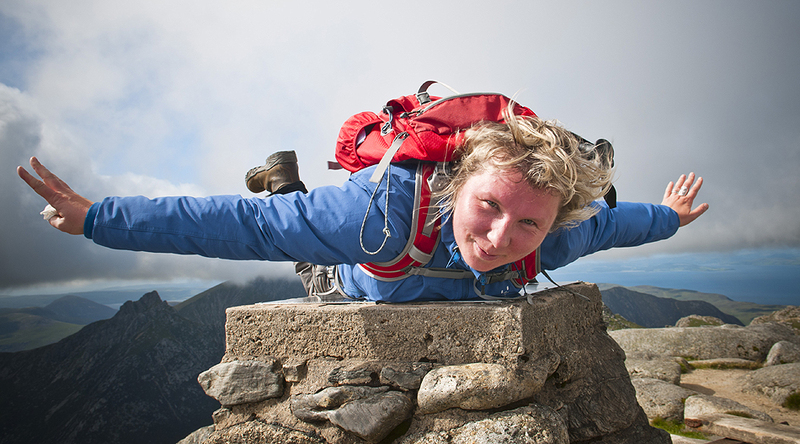 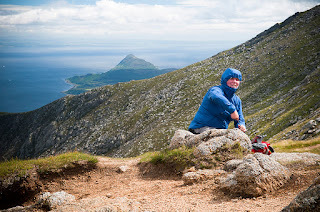 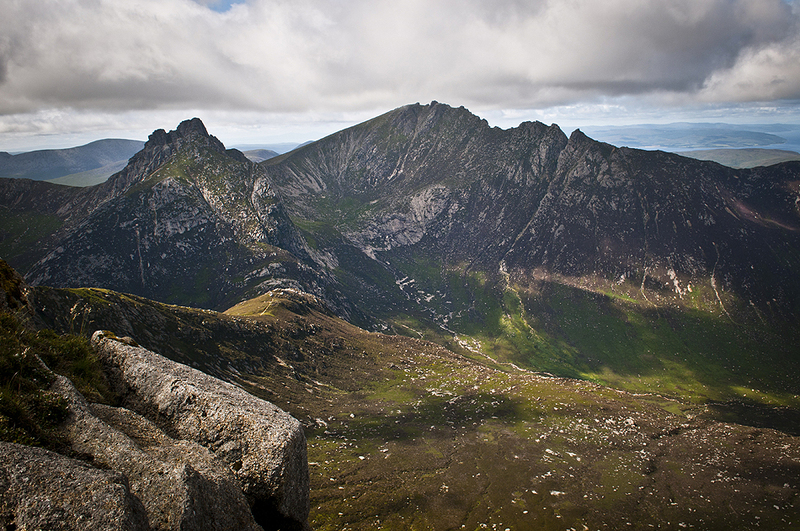 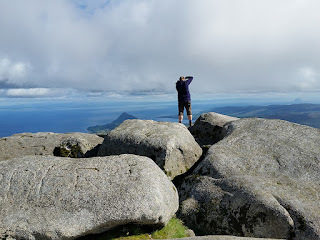 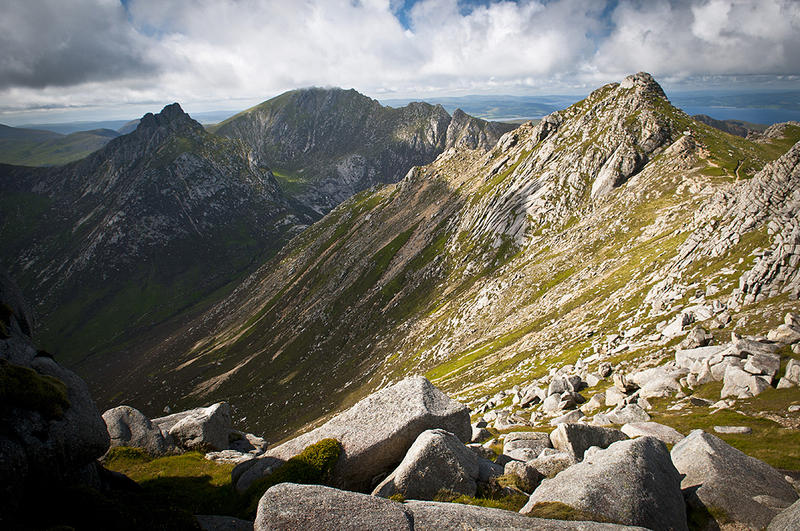 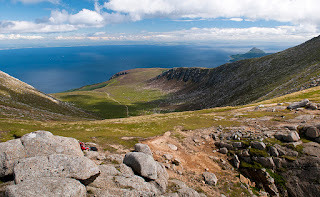 jak widac, sciezka jest naprawde porzadna..
nice big slabs, amazing views around..
on the roof of arran! / na dachu wyspy arran!